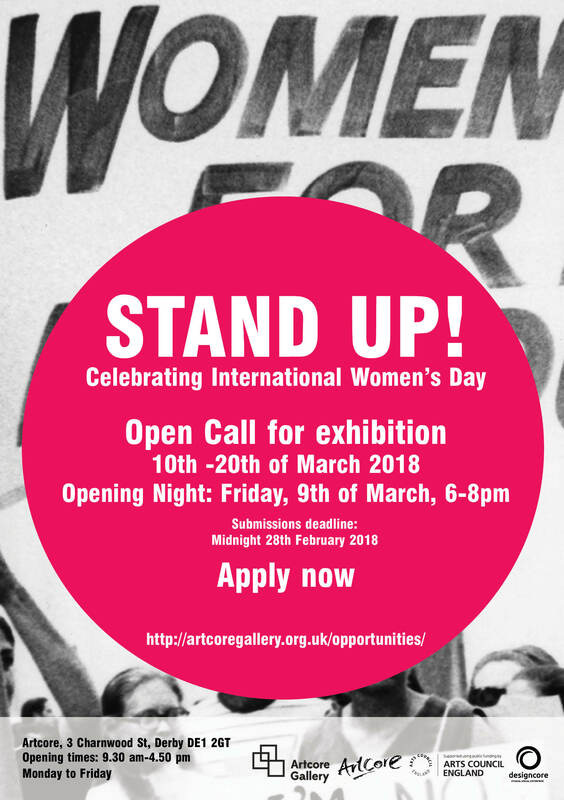 Normanton-based arts organisation, Artcore is active in exploring provoking ideas and issues of topical interest through the medium of art. In this special occasion we investigate what is the role of women in art and what is their impact in our current society. The current economic and financial crisis is important in constructing gender citizenship. In neo-liberal times active citizens are conceptualized as independent, rational, and able individuals. This exhibitions challenges the neo-liberal myth of citizenship, and working alongside artists, to re-imagine citizenship, identity and women’s labour with a view to informing new visions for the future. STAND UP! includes work inspired by artists who operated within the political structure of feminism as well as women impacted by the movement. Comprising work in a broad range of media—including painting, sculpture, photography, film, video, and performance art—the exhibition is organized around themes based on media, geography, formal concerns, collective aesthetic, and political impulses. The exhibition provides a unique glimpse into the creative processes of women in arts, their own individual practices, and how their collaborative ideas have recently impacted new investigation on gender equality in contemporary art practices alongside how far women have come in the art world, and how it has been life-saving and changing. The opening night will feature for the very first time, poetry & performance workshops and open mic for all by Derby based collective She Speaks. She Speaks is a performance space promoting female/non-binary/femme identifying artists, hosted by Aoife O’Connor, Emerciana Desouza & Jo Lewis. The Small Print company will run a drop-in letterpress mini poster workshop on the night.